Is Jordan Hasay America’s Next Great Road Racer? Probably. She's ready to rumble at the Chicago Marathon next month. The longer Jordan Hasay runs, the better the results. Less than three months later, she ran 1:07:55 in Prague, becoming only the third American woman to break 1:08 at 13.1 miles. “I had been running so long, I think I was a bit burned out on the track,” said Hasay, who turns 26 this week. That intuition proved correct. Hasay’s 26.2-mile debut was a smashing one. She finished third at Boston, in 2:23, taking a hammer to the American debut record, breaking the old mark by nearly three minutes. 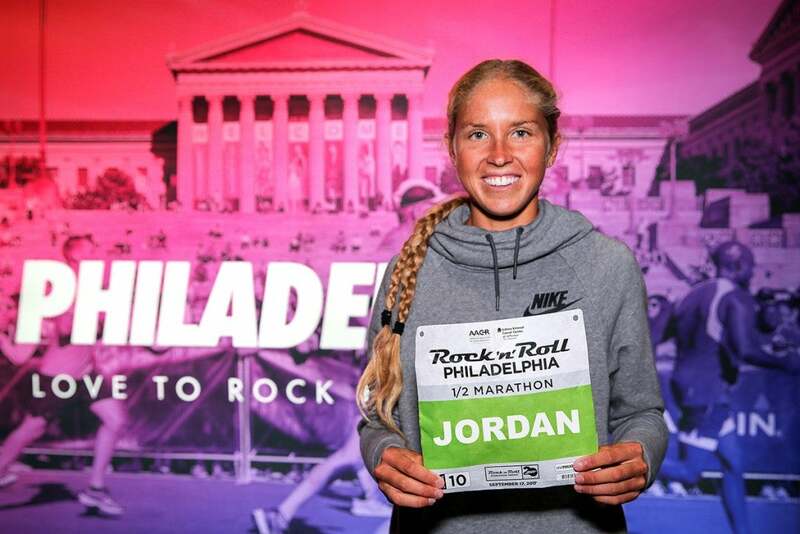 Then, looking ahead to her Chicago Marathon next month, Hasay chose to tune up her legs at this past weekend’s Rock ‘n’ Roll Philadelphia Half Marathon, where she finished third against a deep field. To some, it might seem like Hasay has been running and grabbing headlines forever, particularly as a high school phenom. She ran in the Olympic Trials for the first time following her junior year in high school, competing in the 1,500 meters. Additionally, she won the Foot Locker Cross Country National Championships as a freshman and senior, plus won the California state title at 3,200 meters all four years of high school. Although her college career at University of Oregon only showed modest success. Yet for the young woman, also famous on the track for her long, blonde ponytail, her passion never waned. In some ways, Hasay still sees herself as that young girl who grew up in San Luis Obispo, Calif. Wanting to put a smile on a child’s face, she gave her Boston Marathon medal to a young child; she shared that experience with Run Westin’s Chris Heiusler on Rock ‘n’ Roll’s Facebook page over Philly weekend. Rock ‘n’ Roll is famous for its band placement along the course, and for Hasay, if they could pipe Adele music along the Schuykill River, Hasay would be tough to beat. Her Chicago Marathon, happening next month, is much anticipated by Hasay fans, as she takes on the famously flat course for her second go at 26.2 miles.